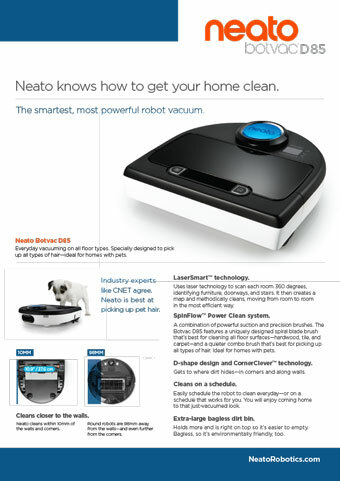 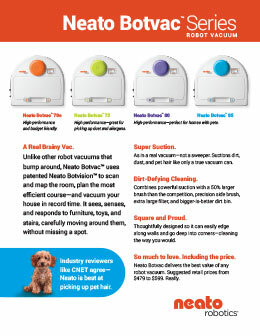 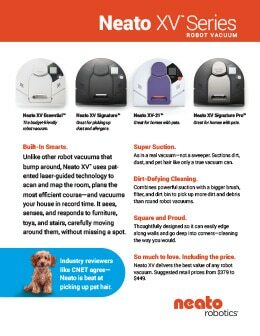 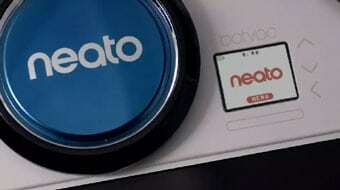 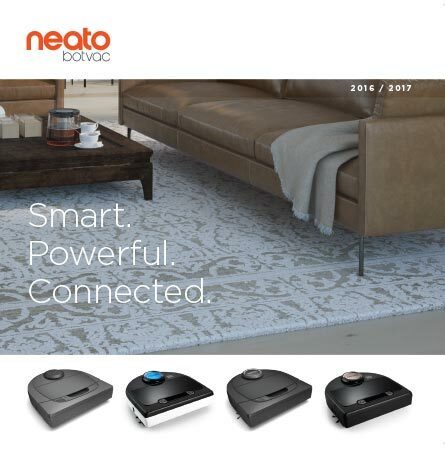 October 23, 2015—Newark, CA–Neato’s highly anticipated Botvac™ Connected robot vacuum is now available at Amazon, Best Buy and the innovative new retailer Enjoy. 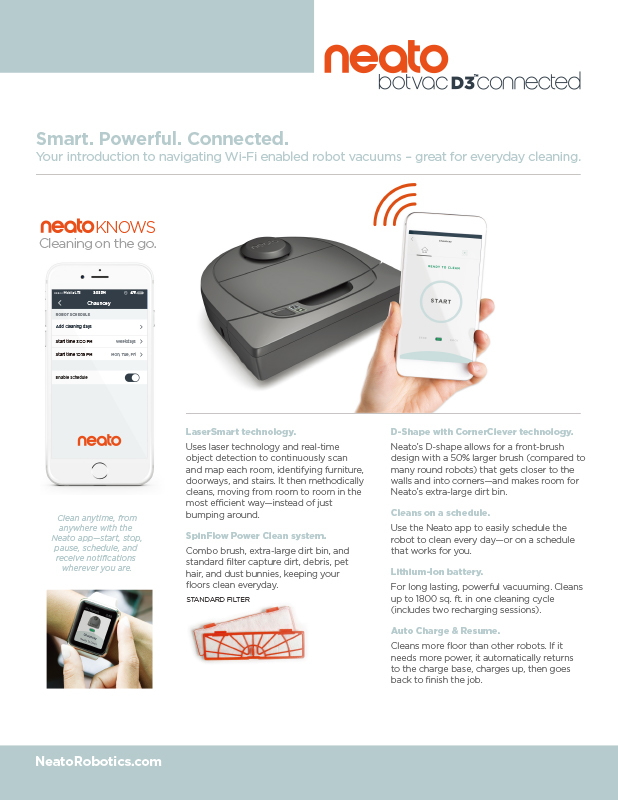 Botvac Connected, the smartest and best cleaning robot vacuum Neato has ever built, features Wi-Fi connectivity, advanced navigation and superior cleaning performance. 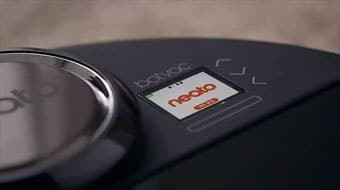 Enjoy is a new retail partner that will personally deliver and set up a Botvac Connected right in the buyers’ home in as little as four hours after purchase. 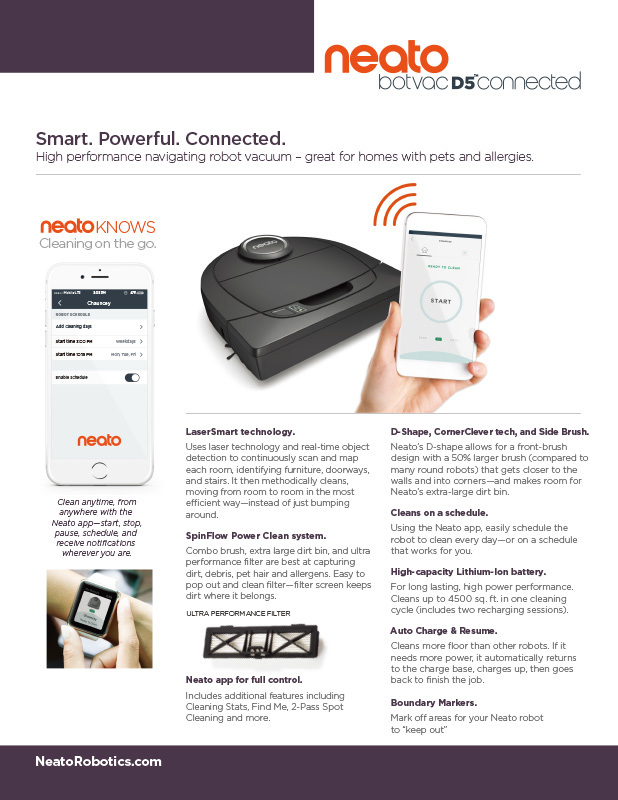 Available for purchase and delivery now in the San Francisco Bay Area and New York City, Botvac Connected can be found at Enjoy. 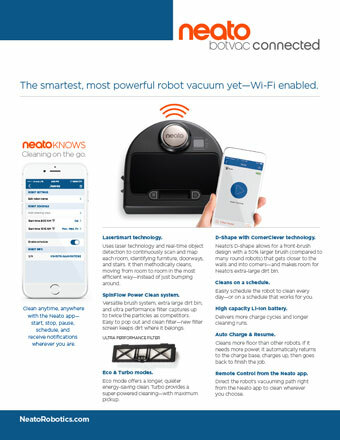 When connected to a Wi-Fi network, Botvac Connected lets users vacuum their homes right from their iOS or Android device no matter where they are – an especially valuable benefit when unexpected guests are on their way. 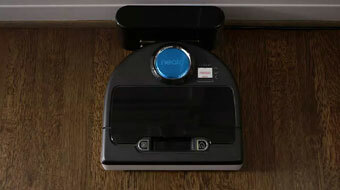 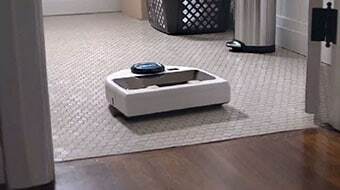 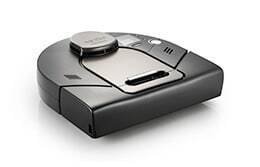 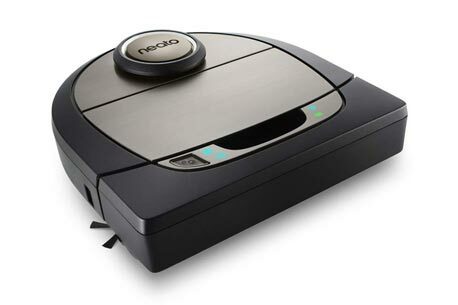 Users can also use their smart phone as a remote control device, directing the robot’s cleaning path when connected to a home network. 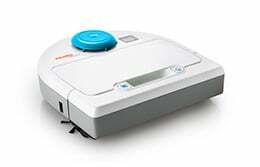 With two different cleaning modes, long lasting Lithium Ion battery and iconic D shape designed for cleaning corners and close to edges and walls, Botvac Connected delivers superior cleaning performance for $699. 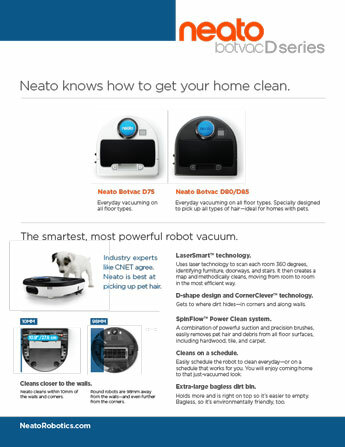 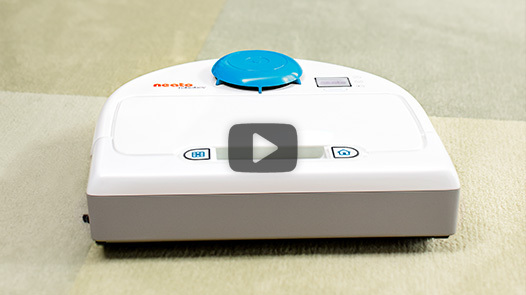 Neato robot vacuums have long been acclaimed for their sophisticated navigation, which allows the robots to clean in methodical, back and forth patterns instead of bumping around a room like round robot vacuums. 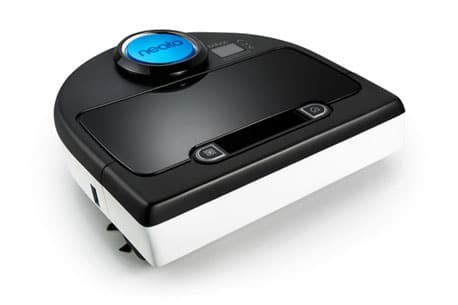 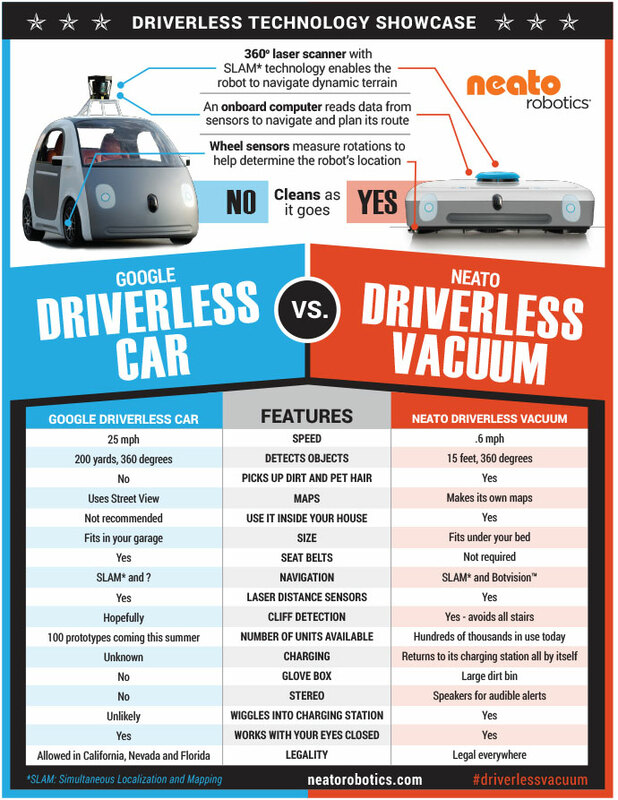 Using SLAM technology – best known for its use in the Google self-driving car – Neato robot vacuums use laser beams and sensitive sensors to avoid obstacles, move from room to room and return to their charging bases to recharge before returning to the exact spot it left off. 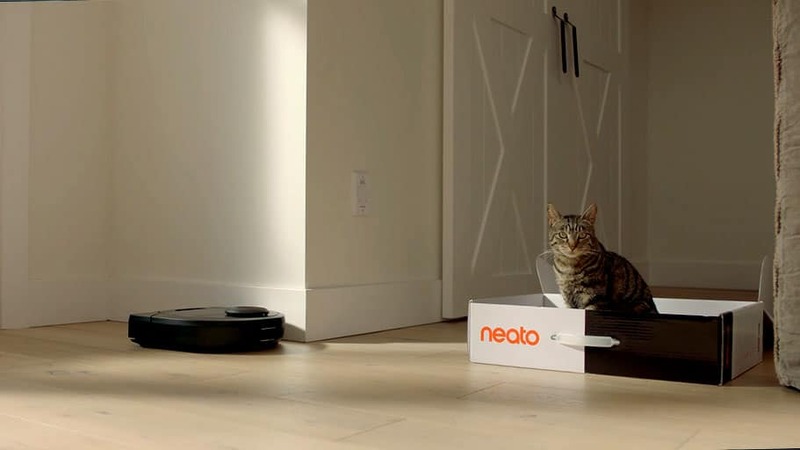 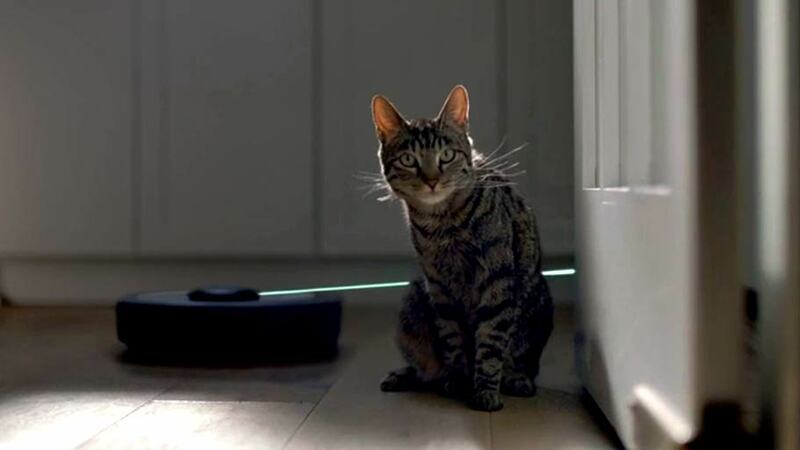 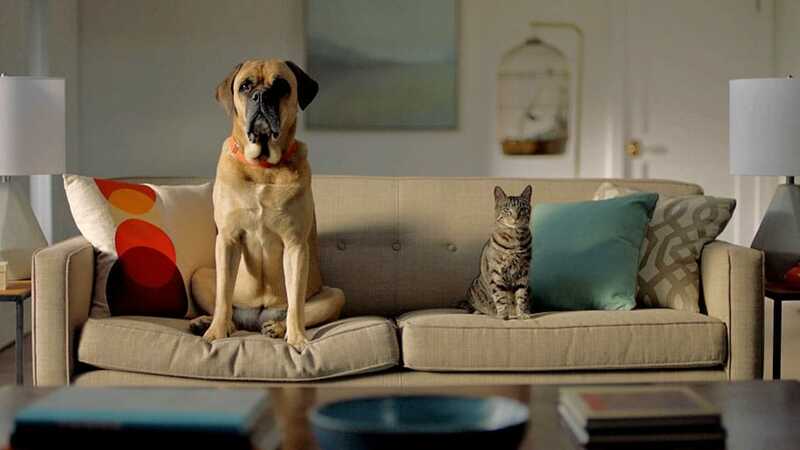 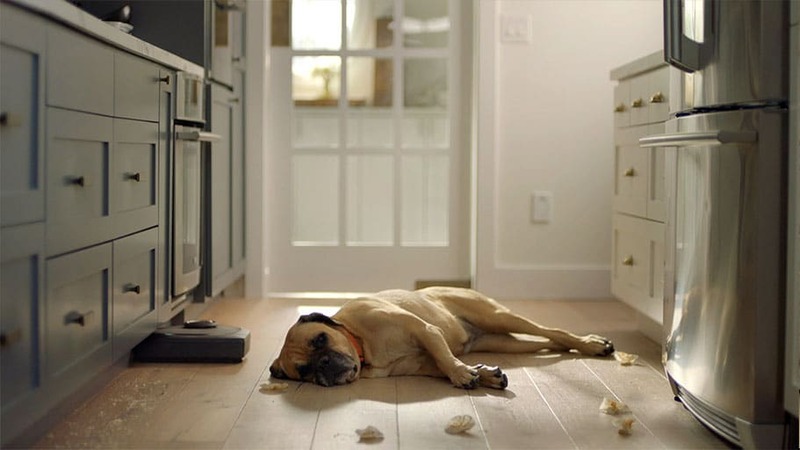 Neato also kicked off its holiday marketing campaign with entertaining online videos highlighting how Neato can take care of the messy situations humans often create. 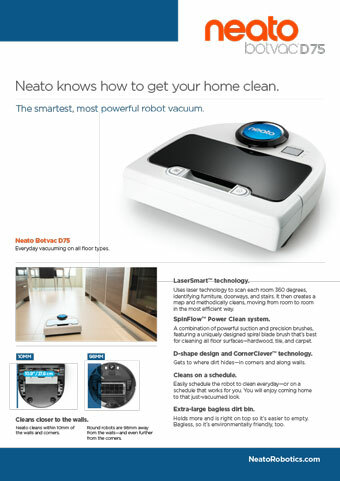 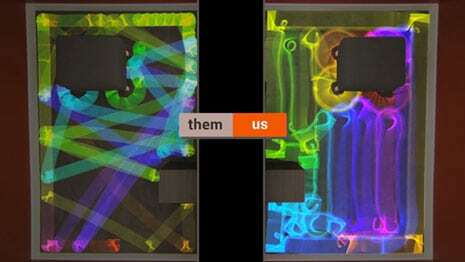 Called “Neato Knows,” the full suite of ads can be found here.